The display has a similar character size to many of the largest varios and its high contrast custom LCD is easy to read even in bright sunlight, yet it only weighs 28 grams and measures just 37mm across (excluding strap) making it the world’s lightest and smallest multifunction altivario! Thermal Finder - Finds lifting air even when you’re not ascending! 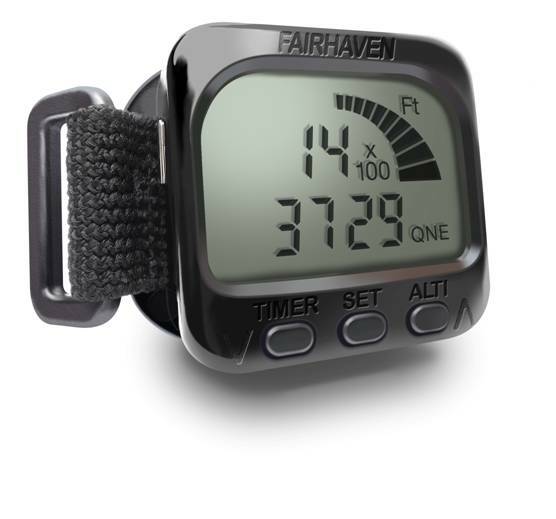 The ALTI button gives access to 3 altimeter references. Alti 1 can be zeroed at takeoff, alti 2 can be set to height or pressure (QNH), the third option is QNE which gives altitude relative to 1013.25mB or sea level. There is also a barometer option which can be zeroed and provides a sensitive indication of weather changes prior to flying. The new Thermal Finder detects when your glider’s sink rate is improving, even when you are not ascending and indicates rising air with a new distinct tone, so there are now 3 different tones to indicate sink, rising air and lift! The middle button (SET) first displays the vario averager followed by the G-Meter, Max G, temperature, maximum and minimum altitude and max lift and sink and battery level. (Averager and G-Meter are on the Micro Alti Plus only). A long press on the SET button allows the user to make changes according to the user’s preferences which includes: Volume, lift and sink thresholds, damping factor (or response time) pace (tone scale adjustment) and unit selection (metres/feet/mixed). The last key press in this sequence reveals the vario’s unique serial number. The TIMER button gives access to the time clock, stopwatch and alarm timer. 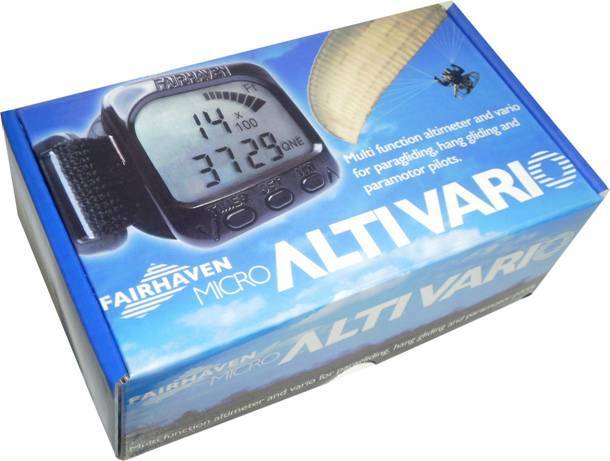 An initial press of the TIMER button shows current time and will automatically revert to the previous mode, a second press gives the Alarm timer which can be used as an alarm clock or tank timer for paramotors and settings are permanently retained for ease of use. 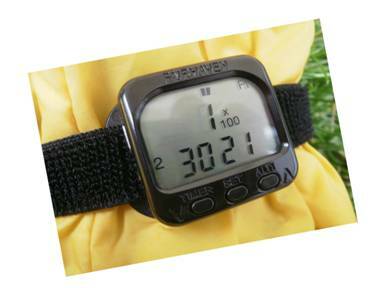 A third press of the TIMER key gives the stopwatch display, this can be started, paused and restarted with further key presses and can be zeroed with a long press. A flight timer can be initiated by selecting AUTO and the timer will then automatically start after a small change of height. The vario’s super loud tones start with a modulated "pip-pip" that increases in rate to indicate lift and a continuous tone for sink. Frequency and interrupt rate vary according to rate of climb/descent. Averaging and thresholds can be set to suit the user preference and audio tones are surprisingly loud! As well as having an internal audio sounder or “bleeper” the Micro Alti has a socket for an external bleeper that can be worn under the helmet, even with open ear types, or it can be slipped inside your headset. This is particularly useful to paramotor fliers who use thermals. 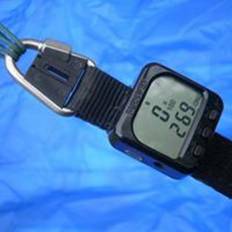 The Micro Alti can be mounted on your risers or on your wrist, and the stretch Velcro strap is long enough to go over a coat. We also supply adhesive Velcro pads that will stick to most surfaces and can be sewn onto clothing or it can be panel mounted. The battery is a 100mA re-chargeable Lithium Polymer type that is automatically re-charged when the vario is plugged in to any USB 5 volt supply, such as a computer, phone charger, satnav lead or solar charger and we include a neat little charger that plugs into your car’s cigarette lighter socket. The vario lights up when charging and a full charge of one hour will supply the vario for up to 5 days of typical use, without having to rely on the sun shining and there are no expensive batteries to buy! The mode switch allows the Micro Alti to be used in power saving mode (displaying just the altitude and time). This is particularly useful if you hike and fly! The mode switch will mute the vario in the middle position.